This Halloween I be searchin' for booty as Captain Jack Sparrow. I bought the base of my costume at the Disney Store on a whim since it was on sale for 50% off. I also got the wig with bandana and tricorn hat there. I hadn't planned to do much more, but what is a pirate without his sword? Below are pics of the cutlass I'll be sporting on Halloween. After getting the sword, I couldn't stop. 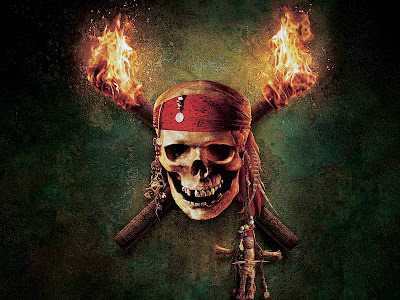 I will post pics of each item that will join my Jack Sparrow costume as they arrive in the mail. And in the end, I'll post pics of me fully transformed into Jack Sparrow himself. Until then, pray I don't cross yer path mate. 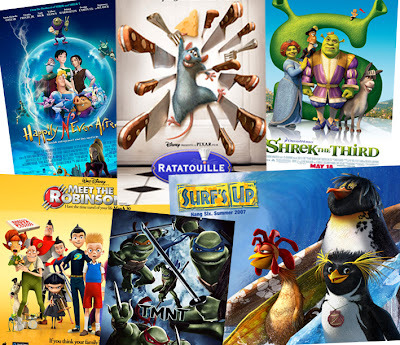 The year of 2007 produced a slightly smaller animated feature vortex than the preceding year. The normal players were edging for a piece of the box office pie this year. Pixar, the reigning king of animated films, released Ratatouille. Disney gave us Meet the Robinsons. Dreamworks released Shrek the Third. Vangaurd opened Happily Never After. Warner Brothers revived the Teenage Mutant Ninja Turtles. And Sony decided to make another penguin movie called Surf's Up, and will also release Beowulf next month. Of these films, I have yet to see Meet the Robinsons, Happily Never After, and of course Beowulf. With that in mind, I still will venture out to pick the best animated film of the year. I argue that Pixar, although edging out many a film in the box office, did not produce the best animated film this year. My pick goes to Sony's very own Surf's Up. This film is entertaining, funny, edgy, smart, relevant, and exciting. It is very obvious that the actors were recording their dialogue together. This is a huge advantage for believable interaction. It may sound strange, but this is not the norm when capturing voices for animated characters, although it very well should be. Surf's Up also impressed me with its exceptional animation and fantastic water simulations. While watching the movie, I actually feel like I am surfing, and it makes me want to catch a real wave of my own. Surfers around globe cringe at the thought that a movie may have inspired regular joes to surf. I have been told by a surfer friend of mine that surfers have a saying, "If you surf, never quit. If you don't surf, never start." This stems from a selfish desire to have the beaches all to themselves rather than a warning of danger. Expect surfers to flock to Sony in riot-like protest to remove this fun film from the shelves. Get your copy on DVD before they succeed! 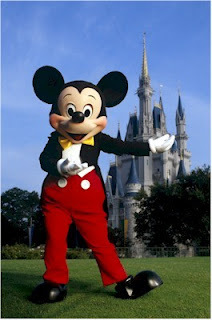 If you have'nt read my Ten Worst Attractions of DisneyWorld post, be sure you check it out before you leave today. I welcome any comments of criticism or agreement, as discussing Walt DisneyWorld is one of my favorite pass times. I figured if I were to rip ten attractions apart, I better praise ten attractions... after all, DisneyWorld is my favorite vacation destination! I found it stragely more difficult to come up with the Ten Best list than the Ten Worst list. Not that there aren't enough good rides, it's just hard to rank them. But here I go anyway. From the fake hippos to the corny jokes, this ride is good family fun. Where esle can you take a boat through the jungle and see a teenager weild a gun without being completely terrified. Here's a contreversial pick that may get scrutinized. However it makes my top ten list, mainly because I worked on this attraction. So, I bribed myself to put it on the list. This is a new addition to Tomorrowland in the Magic Kindgom. It turned out far better than I had anticipated, and for that I applaud the only Disney attraction that Tonymation worked on. This is a fun ride that is interactive, in that you get to shoot stuff. Any ride I get to shoot stuff is alright in my book. The Disneyland counterpart, Buzz Lightyear Astro Blasters, is a far better attraction, because the guns are not mounted to the car, and you don't have to spin the car to face targets. Also there is an audio-animatronic Zurg that is sadly missing from the DisneyWorld version. This new coaster addition to the Animal Kingdom was sorely needed for this park. As far as coasters go, this is a short but fun ride. The fact that the ride is such a quick trip is what pushes it so low on the list. Other than the length, the coaster is a smooth and thrilling adventure. Here is a classic that lands on my top ten list for showmanship alone. I am not a big fan of all things scary, but Disney did this ride with class and style. Again, the Disneyland counterpart is far more entertaining, but I prefer the Mansion design at DisneyWorld. I think the Imagineers agreed with me, becuase they recently changed the attraction to have more of a resemblance to the Disneyland version. This coaster beats out the shiny new Expedition Everest for its ability to deliver an experience worth waiting in line for. The ride lasts long enough to satisfy, and the complete immersion in the theming is undeniably top notch. It is obvious why this classic coaster still deserves praise. This is one of the few rides that is superior to its Disneyland counterpart. I thoroughly enjoy this ride, even though I detest getting wet on attractions. I always enjoy the amount of detail that was put into this attraction. From beginning to end you are immersed in the theme. Way to go Disney! Here is yet another attraction that is so much more fun at Disneyland. The ride makes more sense and had much more money put into it upon its most recent update, over at Disneyland. However, the queue at DisneyWorld is so freaking great. If they could take the DisneyWorld queue and the Disneyland ride and marry them somewhere... why that would be enough to bump this ride up to number 2 on my list. This coaster stars Aerosmith, a familiar band that I grew up with. I'm not a big fan of timestamping a Disney attraction with something like a popular band that will be outgrown and need replacing. But, I still think this coaster is the most exciting in any disney park I have visited. The magnetic propulsion is crazy cool, combine that with gravity defying corkscrews, and loops, and you have a great Disney coaster. This attraction has it all... great theming, attention to detail, fantastic story, relaxing dark ride, and thrilling drop sequences. The imagineers must have been drinking genuis juice the day they created this ride. My hats off to you gentlemen! But I leave you with this question... why not buy another case of genius juice and get crackin'?!! Thanks for reading my list. Be sure to continue down to my Ten Worst Attractions list. The Tonymation family just returned from a long vacation. We spent 11 days at our favorite theme park, Walt DisneyWolrd. This is one of those 360 degree "circle vision" movies, and it was recently revamped to be hip and edgy. The older film had no celebrities in it, and made Canada look like a nice retirement home for the elderly. Now they spiced it up by adding Martin Short as host, and some new clips of extreme sports, to make it look like a dream vacation for a teenager. My main problem with it is that you have to stand up through the entire show. When I go into an attraction, I like to enjoy air conditioning and take a load off of my feet. The imagineer that thought it would be a great idea to cram a bunch of sweaty, smelly, hot, exhausted people into a standing room only theater to watch a film about a country, must have been either insane, or just loves to torture tourists. Summary: you listen to a not so interesting story unfold in a pitch black room. Any questions? This attraction has been gutted thanks to the Lights Motors Action Extreme Stunt Show. It has been reduced to the pre-show, and ride through an alley they call a "boneyard", their props and wardrobe building, and the catastrophe canyon. For those that rode it in its original state, it is a sad skeleton of what it once was. Yes, this entire section of Animal Kingdom makes my list of worst attractions. You have an entire section of this not so interesting park devoted to a carnival theme. Who was in on this meeting?!!! The poster child attraction, Primeval Whirl, is a jerky ride that, by centrifugal force, slides you back and forth into your neighbor so you can get up close and personal with perfect strangers in the hot sticky Florida sun.... yay. If the goal of an attraction is to be long and boring, this one has hit the mark. Hey everyone, come in, sit on the floor and watch Ellen dream about being a stupid contestant on Jeopardy. Bill Nye the Science Guy shows up, and after you ride the endless and tiresome attraction filled with propaganda, she's a genius. The end. I love this film, and I used to love this attraction back in the day when it was what it was intended to be. Now, it has been shortened down to fit more showtimes per day. An entire song was removed, and the entertaining spotlight on Sebastian featuring a puppet of his likeness, has been reduced to a mere cameo. In fact, the show is just a hodge podge of cameos of the characters in the film. Half of the attraction is footage from the actual film. It's a shame. What used to be a pretty intense attraction called Alien Encounter, is now the tame and eventless attraction starring Stitch. I wasn't a big fan of the original attraction, but at least it was entertaining. I could recreate this attraction at home by merely turning the lights off, blowing on your face, and spritzing you with a water bottle. Didn't this movie come out 2 years ago? Why are they showing us the movie trailer and calling it an attraction? I have a great idea. Let's close a really cool attraction, and replace it with a playground that has virtually nothing to do in it. This is what had to be the pitch for this pathetic attraction. This area used to be the home of the beloved Submarine ride. Now it has been reduced to a character meet and greet spot for Pooh characters. I can't believe they even list it as an attraction. It falls in the category of wasted space. Let's be honest here... this ride is supposed to be about imagination. Tap into that brain of yours and create people. This is the inspiration for the attraction. Yet, we see bland walls that are supposedly an imagination lab for the first half of the ride. The premise gives this ride the potential to be one of the coolest attractions at DisneyWorld. Unfortunately, it is one of the dullest. The imagineers that created this ride should be ashamed of themselves. Where is the creativitiy! Thanks for reading, and stay tuned for my top ten best attractions list coming soon. I completed my work on Blacksite in September and was given a generous 10 days of comp time to reward me for all of the overtime I worked. I had already scheduled my Disney vacation at the end of September, so I t0ok my comp time and vacation back to back. I ended up being away from work for a month! It was nice to be able to spend so much time with the Tonymation family. But the most exciting part was our return to DisneyWorld. Our last trip was in 2005, and we were excited to see Mickey again. But alas, the trip did have to come to an end, and I am now back at work again. I am sure Mickey misses the Tonymation family as much as we miss him. 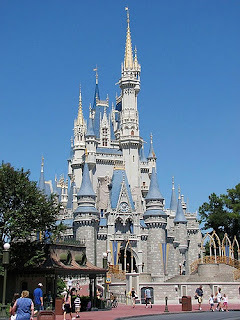 Stay tuned for my top ten attractions list as well as my worst ten attractions at DisneyWorld.